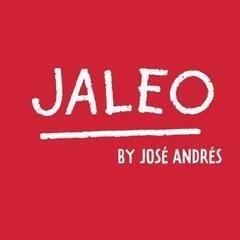 Jaleo by Jose Andres is Opening this Fall at Disney Springs!<br><br>We are seeking Bartenders to join our Team in their mission to Change the World through the Power of Food! <br><br>APPLY NOW!! and/or Meet us for an Interview at our JOB FAIR<br> <br> WEEKDAYS October 29th through November 9th 10:00AM to 4PM <br> Wyndham Lake Buena Vista <br> 1850 Hotel Plaza Blvd - Highland Lake Conference Room<br> Lake Buena Vista, FL 32830<br><br><br>What we would like from you:<br><br>Exceed guests’ expectations by providing an authentic, friendly, enthusiastic, professional culinary experience paired with impeccable service and a genuine sense of hospitality. <br><br>Maintain and oversee all aspects of the bar including a cash drawer/POS system, customer consumption and support of your front of house and back of house teammates. <br><br>Precisely prepare and execute an exciting menu of handmade cocktails. <br><br>A passion for continuous learning and discovery by embracing an active and innovative approach to expanding your knowledge of food and beverage.<br><br>What you can expect from us: <br><br>Competitive Pay with industry leading benefits <br>Access to Medical, Dental, Vision, 401k, and even insurance for your pets <br>50% off food at any of our restaurants <br>Flexible Schedules <br>Fun, Dynamic, Innovative atmosphere <br>Education Assistance/Tuition Reimbursement <br>Career Advancement opportunities<br><br><br><br>ThinkFoodGroup is an Equal Opportunity Employer and participates in the federal government E-Verify Program.